Amidst a swirl of activity a single dancer finds a state of mindfulness. Surrounded by a celtic knot and swirling with saturated color, this piece is an emotional journey into the power of dance. 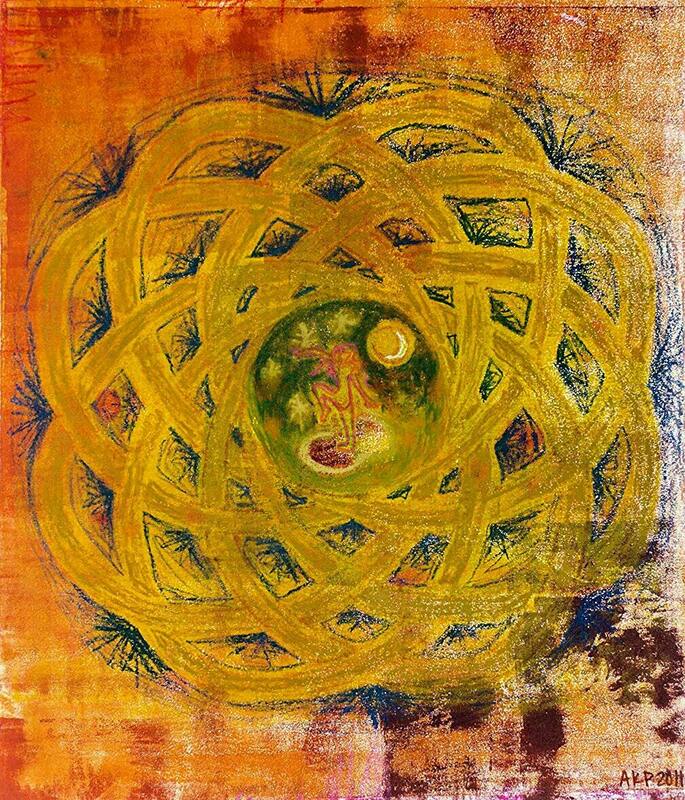 This artwork was made with a combination of mono-print and oil pastels on textured paper. The framing was designed and executed by the artist, and comprises of archival quality materials and methods. 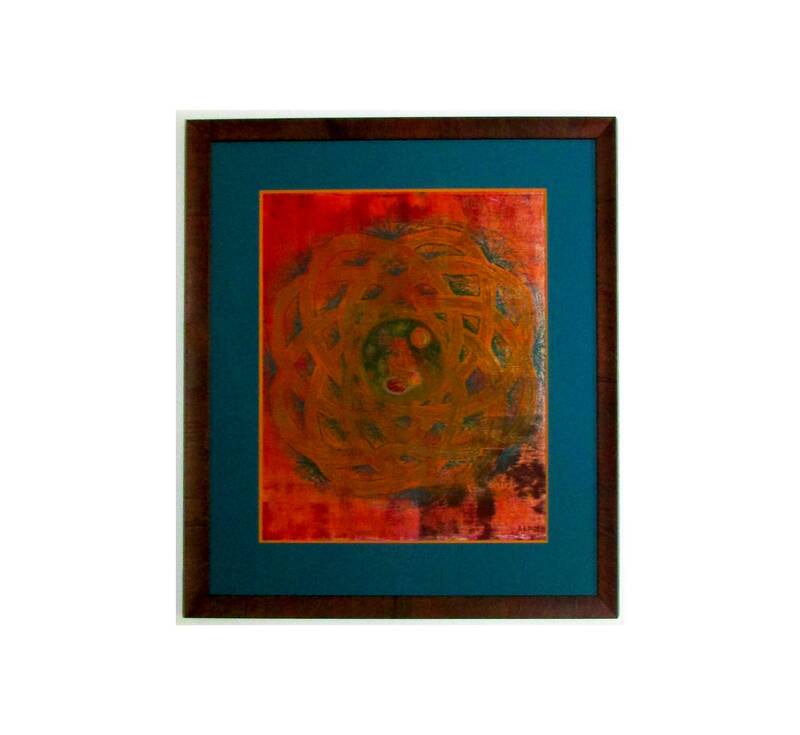 A textured brown frame compliments the textures and tones within the artwork. The artwork has been matted with two mats. A sliver of golden yellow peeks out from behind the saturated blue top mat. The glazing uses Tru Vue Museum glass, which offers 99.9% UV protection, and an anti-reflective coating. Artwork measures 16 in. x 19 in. The frame measures 24 in. x 27 in.